TOPEKA ? 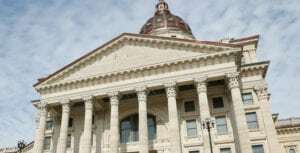 A Kansas legislator acknowledged Thursday that he inadvertently left a loaded gun in a public committee room where a secretary found it a few minutes later. 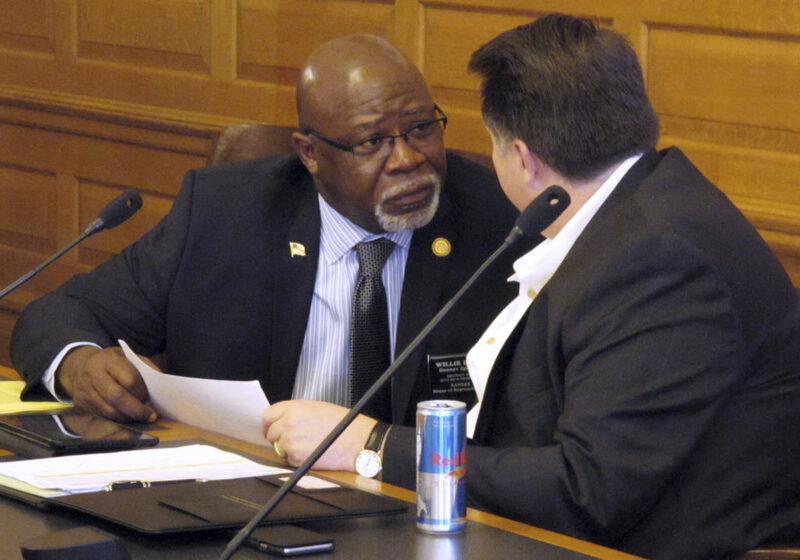 Republican Rep. Willie Dove said the incident occurred after Tuesday’s meeting of the House Education Committee. Dove said he left the .380-caliber handgun in a holster under a table where lawmakers sit, where it wouldn’t have been visible to audience members because of a curtain on the table. The room, which is generally unlocked during business hours, can seat about 40 people. Dove, of Bonner Springs, has a state concealed carry permit, and firearms are allowed in the Statehouse. He said he regularly carries the gun with a leg holster but took it off at the meeting because his ankle was swelling. He said he was alerted shortly after the meeting that the secretary had turned the gun over to security officers, who locked it up overnight. Earlier this month, a New Hampshire lawmaker’s loaded gun fell to the ground from her waistband at the start of a committee hearing where children were present. The gun didn’t go off. In 2013, an aide to Missouri’s House speaker resigned after leaving a loaded handgun in a Capitol bathroom. Dove didn’t need a permit to carry a concealed gun because of a 2015 law, but Kansas still issues them because other states recognize them as valid within their borders. 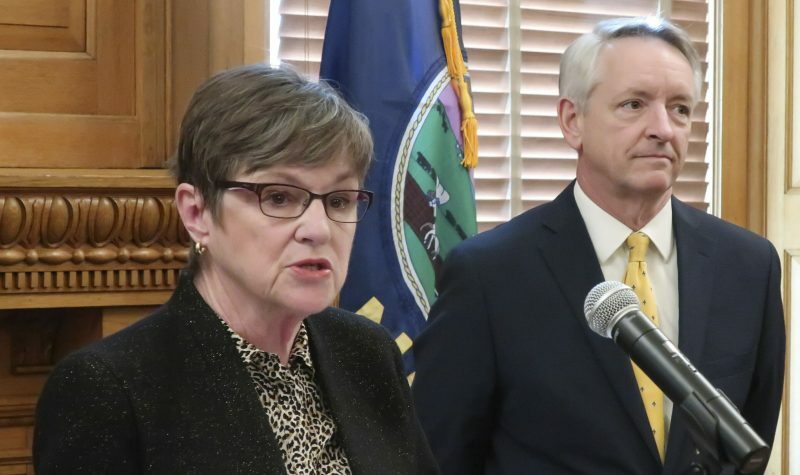 Kansas doesn’t have a law specifically making it a crime to leave a firearm unattended — something several lawmakers said may need to be addressed — nor is there a Topeka city ordinance. The Kansas House’s Republican leaders said they’re still gathering information about the incident. 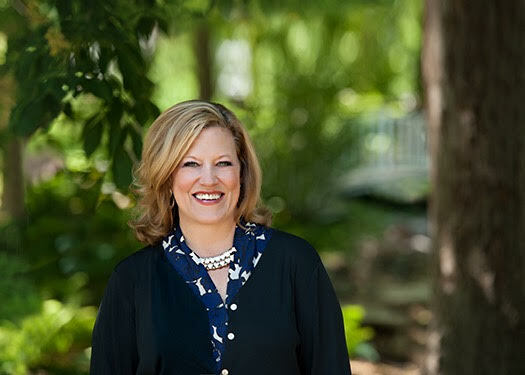 State Rep. Melissa Rooker, a Fairway Republican and Education Committee member, said legislators often hear gun owners described in debates as responsible. “This is disconcerting,” she said. Asked about others’ concerns that leaving a gun behind unattended created a safety issue, Dove declined to respond. 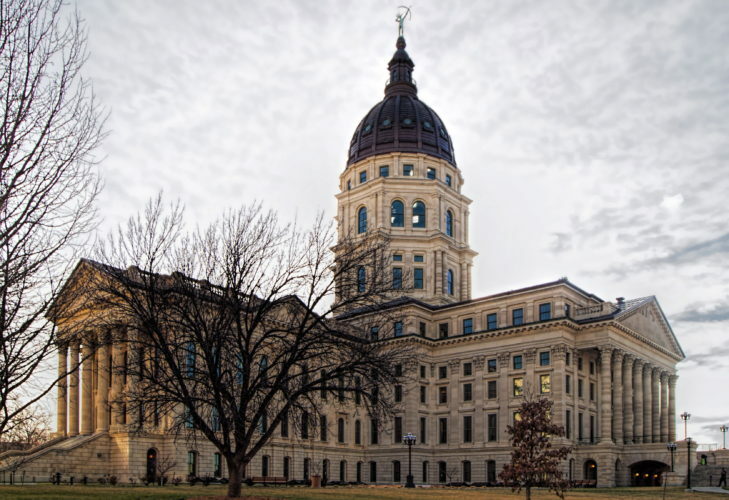 The incident in Kansas became public on the day that a state Senate committee held a hearing on legislation that would repeal a law allowing people to carry concealed weapons into public hospitals and clinics, and into buildings on state university and college campuses. The law is set to take effect in July. 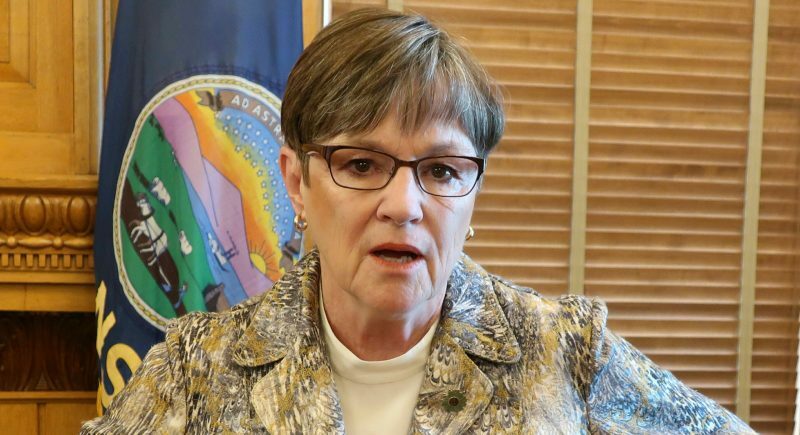 Dove, a 71-year-old insurance agency owner was first elected to the House in 2012, and easily won re-election last year in his GOP-leaning northeast Kansas district.